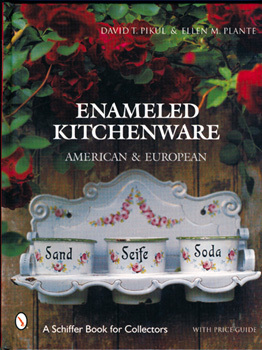 Enameled Kitchenware, American and European is a continuing celebration of the beautiful enameled ware produced throughout Europe and the United States between the late 1800's and 1940 available for collecting today. Because they are more than just household goods, efforts were made from the very beginning to adorn enameled ware with eye-catching decorations rivaling the loveliest ceramics of the area. The book includes over 500 excellent new color photographs with price ranges making this a book that collectors, dealers, and interior decorators will be sure to appreciate and allowing anyone to learn about the growing world-wide market for vintage enameled ware. Includes price guide.